Shallowest chinrest in the range. Easy on the chin and neck. Reduced price. Tailpiece for Violin. Light alloy construction in black with tailon included. Full size violin Tailpiece Ebony inlaid with brass Treble clef design. If you want to be different and stand out from the crowd. 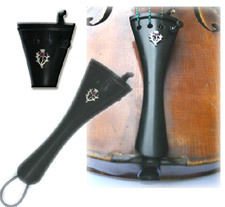 Full size violin tailpiece in good quality ebony with Paris Eye design. Select from small sizes & colours below. New product from Slovenia well designed and robust shoulder rest. Now with folding feet as standard, in black or purple only. Professional VIOLIN shoulder rest from one of the world's best and popular makers. 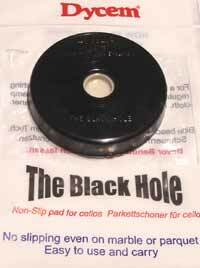 Cello Stop, tried and tested product from Dycem. FOR VIOLIN New! Alergy tested Violin chinrest from the World Renowned Wittner Company. FOR VIOLA New! Alergy tested chinrest from the World Renowned Wittner Company. 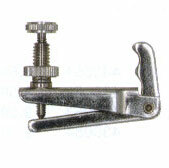 Chrome full size violin adjuster by Wittner. Made in Germany. Violin Adjuster in Gold and black. Full size only. Violin Tailons for tailpiece. Please select size required. 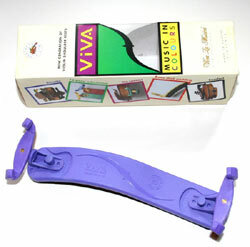 Violin tailpiece, it has a light weight construction and comes with tailon included. My number 1 choice. Violin tailpiece with sterling silver thistle design. Limited edition of 40. Tailon and string adjuster included.